Causes: My Pink Polishes Purchased in October + Swatches! To close out one of my favorite months of the year, I thought I’d show you the “Pink Awareness” polishes I picked up! Pink isn’t a big color for me so I don’t go too wild but I do really like the ones I got this year! This is also my first mani since chopping my nails in quite awhile! I also got a request to shape them square so there you go! I probably won’t keep them square because they feel odd but they look better than I remember! 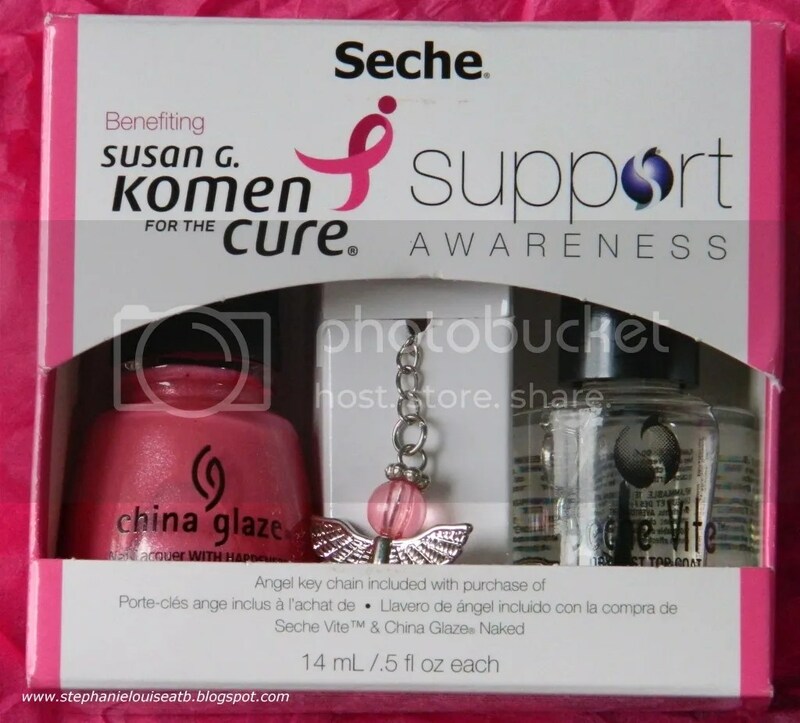 I found this Seche Duo including one Seche Vite polish & one China Glaze polish in Naked. 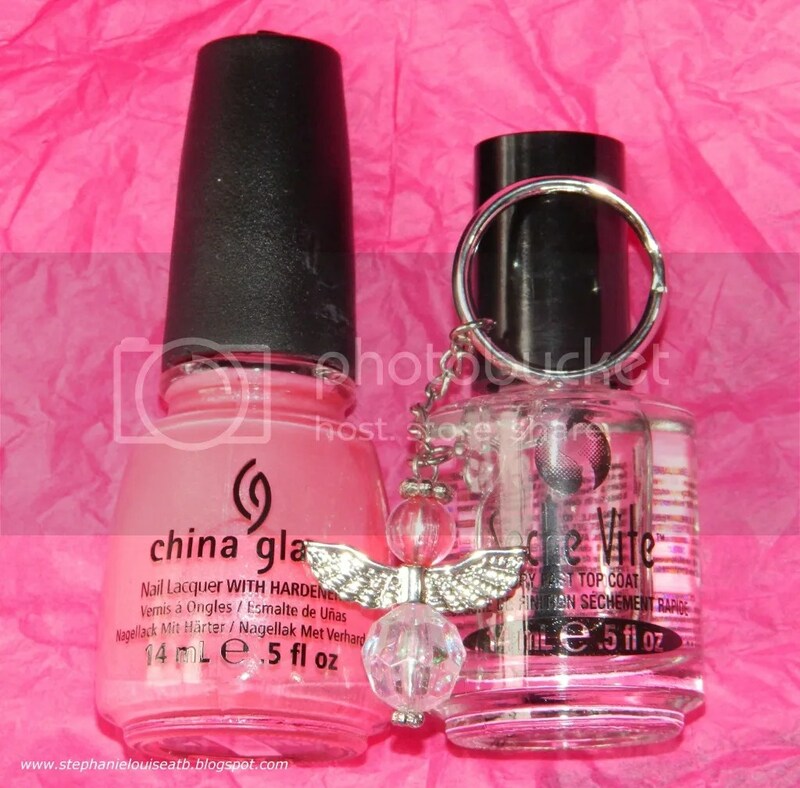 The purchase went to benefit Susan G. Komen for the Cure & also included this cute little heart keychain. I believe Naked is a new polish correct? This trio is from a new brand to this blog called Dr.’s Remedy. I was pleasantly surprised! These polishes contain Tea Tree Oil, Vitamins, & Wheat Protein. These applied really nicely but Hopeful was the standout. This only took 2 coats & tried super fast. Both Nurture & Purity run more sheer, especially Purity! I couldn’t even swatch it because it is one of those “my nails but better” type shades..& my nails got stained like crazy only yesterday…so no go. Nurture is swatched below though although you can’t quite see the lovely pink flash! Last up is my Nails by Laura polish in Know Hope which I bought awhile back. I swatched it this last week (see the swatches, they’re pretty fun!) & am still in love. I wore this for about 5 days & had strangers grabbing my hands telling me how pretty it was & asking about it. This is extremely limited (only 300 bottles will ever be created!) so if you want it, grab it while you can! Here they all are swatched with my index finger being a mix of China Glaze Naked + Dr.’s Remedy in Hopeful then a fabulous top coat of Know Hope. My middle finger is Dr.’s Remedy in Nurture, ring finer is Dr.’s Remedy in Hopeful, & my pinky is China Glaze in Naked. All of them were topped off with the Seche Vite from the duo pack. What do you think of these shades? 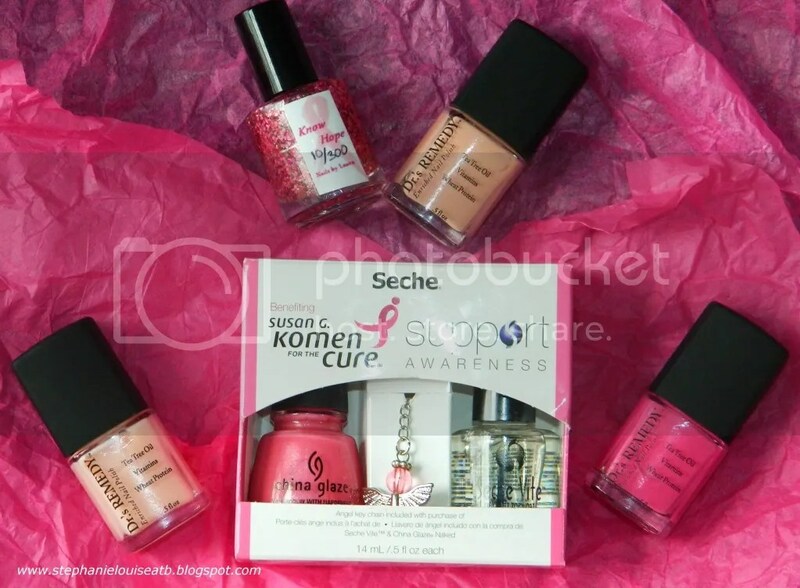 Did you pick any pink polishes up for Breast Cancer Awareness month? What is your favorite pink? *The Dr.’s Remedy polishes were provided in consideration of review. Everything else was purchased by myself. All opinions are my own. Orly Matte FX Nail Polishes in Pink + Green Flakie Swatches & Review Sinful Colors Full Throttle Rubberized Texture Nail Polishes Swatches & Review KBShimmer Holiday Nail Polishes for Winter 2014 Swatches & Review B is for Bold with Finger Paints Patent Polishes!